The World Federation of Orthodontists (WFO) launched the Journal of the World Federation of Orthodontists (JWFO) in May 2012. The JWFO is offered exclusively online on a quarterly basis, and WFO members have complete access to the peer-reviewed journal’s content as a membership benefit. Elsevier, the world’s leading provider of science and health information, is the publisher and manages the journal website, www.jwfo.org. 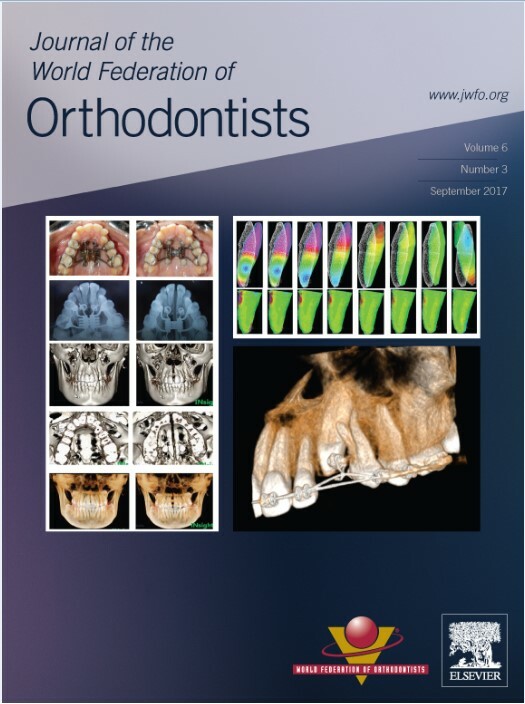 The JWFO is a unique publication dedicated to presenting the results of scientific research from orthodontics and related fields. In addition, provides a forum in which to discuss this scientific research, increasing the impact of each and every article. The JWFO’s goal is to contribute to the education and continuing education of professionals throughout the world, thus stimulating the advancement of the art and science of orthodontics. In September 2011, the WFO Executive Committee selected Dr. Jorge Faber of Brasilia, Brazil, to serve as the first Editor-in-Chief. Prior to accepting this position, Dr. Faber was the editor-in-chief of the Dental Press Journal of Orthodontics (DPJO) for five years. Dr. Faber was an adjunct professor of orthodontics at the University of Brasilia and has been in private orthodontic practice since 1994. He had also published more than 70 scientific articles and has given more than 150 lectures and courses worldwide. Dr. Faber pursued his dental education at the University of Brasilia and earned a Master of Science-Orthodontics from the Federal University of Rio de Janeiro in 1994. He also has a doctorate in biology-morphology from the University of Brasilia. After 7 years of dedication, in 2017, Dr. Faber stepped down and the WFO Executive Committee selected Dr. Vinod Krishnan as the second Editor-in- Chief of the JWFO. Dr. Krishnan has selected a strong editorial team, including Associate Editors (Carlos Flores-Mir, Carlalberta Verna, Jai Hyun Park and Shin-Jae Lee), Consultant Editors (David Turpin, Jorge Faber and Jyothindra Kumar), academically and clinically well-known editorial board members from all over the world and continues to work with the the efficient publishing team of Elsevier, in order to drive the journal to even higher achievements and impact. Dr. Krishnan's vision for the journal addresses the very basic fact that articles need to be professional and informative, but eminently readable. The main operative priority is the speedy and fair handling of manuscripts, respecting the hard work done by the submitting authors. In order to expedite the manuscript flow from initial submission to final decision, an initial screening process is conducted to check whether the manuscript meets the journal standards. Papers considered valuable for the journal are then subjected to thorough peer review and editorial process before being included in order to deliver to readers an exciting, cutting-edge, educational and comprehensive journal that conveys key information related to the specialty of orthodontics. Regarding the contents of JWFOs, the aim is to publish papers that are novel, of high quality, have global representation and reach and fall within the scope of orthodontics and dentofacial orthopedics. A paper must have a clear objective, a description placing the work into the larger context of existing work in the literature, be technically solid and relevant to academicians, clinicians and students of orthodontics. Cutting edge critical reviews and case series of clinical importance will be considered in order to bridge the gap between the researchers/academicians and those involved in clinical practice. Dr. Krishnan's aim for the JWFO is to produce a journal which does the right job and does it well. In concert with his team members, his goal is that that every member of the WFO will want to read the journal as soon as it is published.